Business and sports performance coach with over 20 years experience. Master Practitioner in Neuro Linguistic Programming (NLP) and has a B’Ed Honours degree. Specialises in motivation, visioning and action planning. Using a dynamic programme, "Best Year Yet", works with individuals and teams to be clear about their purpose, set the right goals, be motivated to take the right actions, and keep taking the right actions, to achieve those goals. This programme is backed by a unique online tool. Uses a variety of NLP and other internationally recognised tools and techniques including image, impact and influencing skills. Works with the conscious and unconscious mind to achieve self belief and confidence. Her techniques enable clients to break through barriers with ease and speed, revealing new facets of performance potential and increased confidence. Worked with several high profile international sports professionals including a winner of the US Open, to achieve a winning mindset. Frances started her career in food and nutrition as a teacher and then in sales and marketing running a busy home economics department for Danish Agricultural producers. She later extended her sales experience with sponsored educational material including managing a project producing videos on behalf of several national marketing bodies. Afterwards she set up a sales division procuring foods for large catering organisations. Frances then launched her own company as a consultant developing her commercial acumen working with a wide variety of small and medium enterprises. Recognising the importance of image and brand, Frances trained as an image consultant and worked with several members of parliament advising on their image, impact and communication styles. It was during this time Frances came across NLP, trained as a master practitioner and created Imagine Success, a coaching model to create confidence, congruence and clarity, where self perception matches perception by others and is the best it can be. NLP was developed in the early '70s as the result of the cooperation of a scientist Richard Bandler and a linguist John Grinder when they were conducting research into the structure of influence. They studied highly successful people and discovered common patterns of behaviour. NPL has become a process for understanding how we make sense of the world, how to change behaviour and how to model excellence. 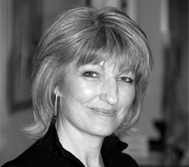 Frances is passionate about her work and her aim is to keep things simple and fun whilst achieving great results. She is an exuberant dancer and she loves travel and exploration.